Per exident I’ve found the Tool „Chocolatey“. If you take a look on the website you may recognize some similarities to NuGet. 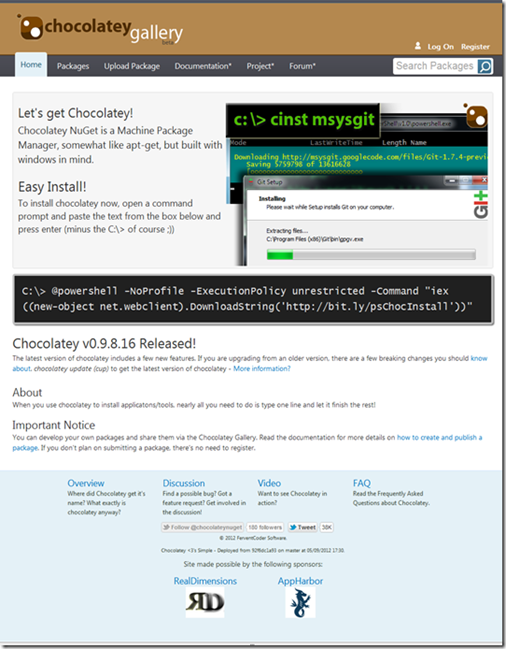 Chocolatey is a “Maschine Package Manager” what means that it helps you with easy download and update tools for your machine – straight on the console. What’s the difference to NuGet? NuGet is for Development libraries whereas Chocolatey is more about the Tooling. More information’s are available at the GitHub Wiki!